K.L.E.S Smt. 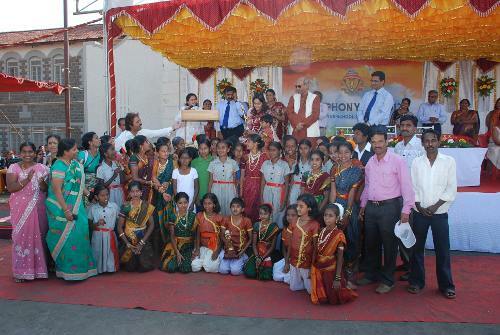 CBR English Medium School Athani & Kles’ International School, Belgaum hosted Symphony-III organized at Lingaraj college grounds, a cultural confluence of the 18 English Medium Schools to coincide with the Republic Day. The celebration titled “Symphony -III” which was designed to be a celebration of the unity of KLE Schools and a celebration of the artistic talents of the students. Mrinal Kulkarni Film & Television Personality was the Chief Guest. KLE International School, Belgaum stood out in the excellence of performance in Marchpast Manjunath Nagar, Hubli won the Second prize and 3rd position KLE School, Gadag. 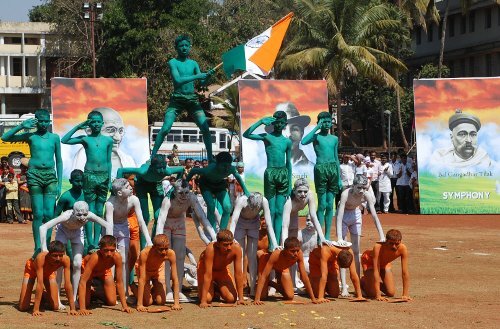 KLE School, Solapur Secured the first position for its performance in Dance-Drama with the theme KLE School, Gadag won Second prize for its artistic performance, and Third position to KLE School, Haveri. KLE school, Nagarbhavi stood out in the excellence of performance in Patriotic KLE School Nippani,(CBSE) won the Second prize and 3rd position KLE School, Gokak. KLE School, Manjunath Nagar, Hubli Secured the first position for its Folk performance KLE School M.R.Sakhare, Hubli won the Second prize for its artistic performance, and Third position to KLE School,Rajaji Nagar, Bangalore. More than 1000 participants participated in the celebrations which reminded the students that it is their responsibility to create a prosperous India and also that the benefits of growth and development reach all the people of India especially the poor and the down trodden.